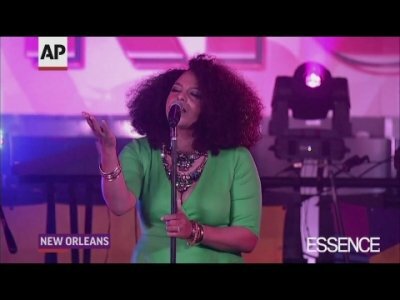 NEW ORLEANS (AP) — A performance by rapper-singer-actress Queen Latifah has been added to this year's Essence Festival in New Orleans. Queen Latifah is scheduled to appear in the Superdome on Saturday, July 7, midway through the July 5-8 festival. Organizers say fans can expect to hear her most popular hits, including "U.N.I.T.Y." and "Ladies First." Other headliners include Janet Jackson, who is to close out this year's event, and perennial fan-favorites Mary J. Blige and Jill Scott. On Saturday, Aug. 12, Pennsylvania State Rep. Jordan Harris (D-186) will host his fifth annual Soul School Festival at Chew Playground, 19th and Washington Avenue. The free festival begins at noon and will feature musical performances by Biz Markie, Total, Marsha Ambrosius, DJ Kool and Chill Moody. There will also be bounce houses and face painting for children and a basketball tournament.